Sometime during the mobile application development using react native library, you have seen this "Could not find method google() for arguments  on repository container" error message in your console or terminal. This is a most common type comparability issues in react native application for that you need to either downgrade the library version or else you need to upgrade your Android project gradle version. Lets see below real time example, where we have installed Realm library in react native application and we are using react native version 0.54 for application development. But during compilation we are getting below error message in console. A problem occurred evaluating project ':realm'. Step-2:- Add the below highlighted line in your build.gradle file and provide the updated gradle version in dependencies section. 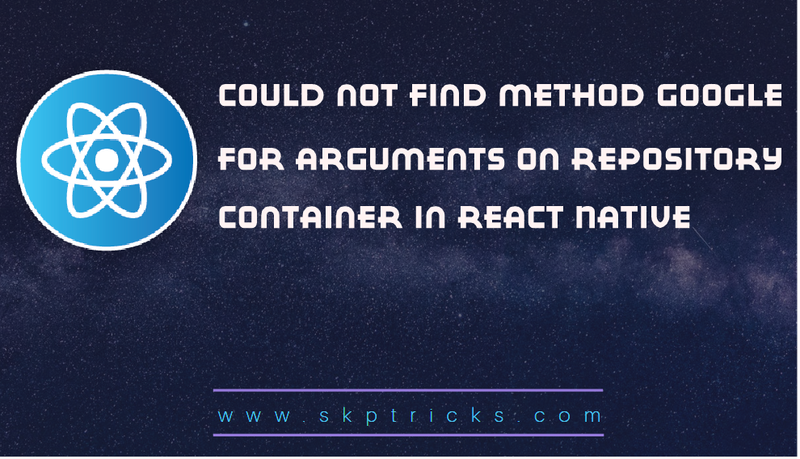 Follow the mentioned steps, this may fixed your problem in react native application.